The Ram 5500 has many different options for folks who have a big job to get done. From trim level to cab size, there's something for everyone. The RAM 5500 is the truck the doesn’t just work for you it becomes a part of you. With many different option features and trims you can truly make this truck your own. The RAM 5500 has an available Uconnect Access System that keep you connected to everything at a fingers tough. It also offers steering wheel mounted controls so you can control the dash without moving far from the wheel. 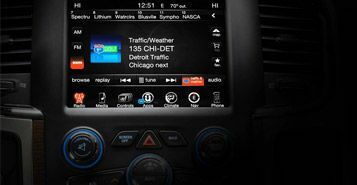 With available dual climate control and on-board WIFI hotspots the RAM 5500 can be the ultimate mobile command center. The cab on the RAM 5500 has all the space you need for you and your passengers. With a folding rear row, you can take just about anything you need with you. 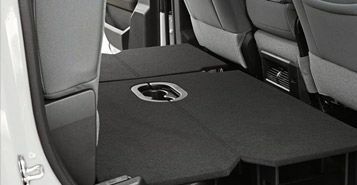 Creating plenty of extra storage space the RAM 5500 is the ultimate tool for towing, storage and transporting its passengers with a lux interior. 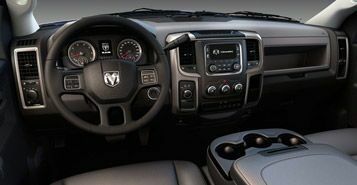 With a newly refined interior the dash and cab on the new RAM 5500 take its passengers in style. Not only is the cab interior extremely large and spacious but the leather seats, dual climate control, heated seats will make you want to hop in. The Ram 5500 is the ultimate tool for work or pleasure.